At Rhys Prichard School we recognise the importance of a positive approach to the behaviour of children in school. A calm, orderly environment is essential if children are to learn most effectively. It is the responsibility of the school to provide that environment in order that children and teachers can make most use of lesson time for the real purpose of education. This document aims to provide the framework to enable an orderly environment to prevail and to allow members of the school community to concentrate upon its chief purpose. It also recognises that within a climate of inclusion there will be children who need a personalised approach to their specific behavioural needs. In some cases this will mean that the sanctions, stages and rewards are applied appropriately in dealing with their behaviour and other programmes of intervention and support may be used in conjunction with external agencies. The importance of taking a multi-agency approach to behaviour management is central. Rewarding for academic and social achievements hold equal status. it is important that we try to remain as positive as possible at all times. We have a supportive school with a caring ethos where we pride ourselves that no child is invisible. In order to make the most of this it is expected that there will be a number of means within the school of rewarding and celebrating achievement and good behaviour. We teach the children how to solve their own problems through discussion, so that they learn how to think things through and talk together until they agree. Through our support we help them to develop the ability to take responsibility for their own actions, and to see the links between their own behaviour and the consequences of their actions. We speak assertively to disruptive pupils, using language, which is decisive, firm and clear. We aim to approach discipline in a positive and consistent way. The school rules (Rainbow Rules ) are regularly referred to in assemblies and by staff members and are reinforced when appropriate. Copies of the school/ classroom rules are displayed prominently around the school. the school and, also, for the benefit and safety of the pupils themselves. RWI signal 1,2,3. 1 to stand, 2 move to place 3 sit down. Speech of staff: all members of staff to use quiet classroom voices to instil calmness. Defnyddiwch llais mewnol/ use quiet classroom voices. As children are praised they are rewarded in a variety of ways e.g stickers, pom poms in a jar , visit to head teacher for a special sticker, seren yr wythnos, , Reward Assembly on a Friday etc. Our priority is to foster positive behaviour and encourage self-discipline, but there may be occasions when a child’s behaviour infringes on the rights of others. In such situations there are a series of procedures, with possible consequences, which are followed. Each situation that arises is different and will be treated with sensitivity by the staff of the school. Provocation is always taken into consideration and all points of view taken into account. It is the aim of the school to foster a partnership with the parents to help pupils manage antisocial/ behavioural/ emotional difficulties. We are prepared to listen and be flexible in our response. Ultimately, if pupil continues to violate the rights of others and/or shows no sign of wanting to change, part time attendance or exclusion will be considered. All allegations of racial abuse are reported to our Acting Head teacher Mr E Davies. All allegations are investigated thoroughly and recorded in writing. Sanctions are issued according to the severity of the abuse. The school rules are regularly referred to in assemblies and are reinforced when appropriate. Refusing to work will be referred to the Headteacher. Stage 1 Discussion/ investigation of incidents leading up to this, explanation of what will happen next and recording. Stage 2 Child is kept in for a detention. Parents are contacted about the situation. Stage 3 Parents are invited to discuss their child’s behaviour. Further consideration of intervention strategies and programmes will be considered. Further discussion with the child and consideration of strategies to avoid further incidents. Stage 4 Child might be given a Home/ School link book. This is done during a meeting with the parents, child and class teacher where possible. The child is seen by the Headteacher to review their progress and contact is made with parents on a weekly basis to consider the week’s behaviour. A review date is set with parents. External support will be sought and agencies informed as appropriate. Referral to behaviour support/ the educational psychologist. 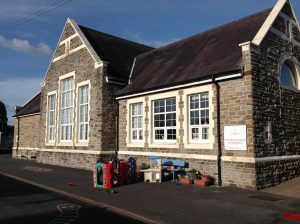 In the rare situations where a pupil’s behaviour continually affects the teaching and learning of other pupils as well as him/herself, and / or their behaviour is such that it is seen as a danger to him/herself, other children or staff; parents/ carers of those pupils will be required to attend a meeting with the Chair and or Vice Chair of the Governing Body to discuss the matter. If a pupil’s behaviour is continually intruding upon teaching and learning time or if a pupil has received fixed term exclusion or intervention from the Behaviour Support Team, a pastoral plan will be developed as a part of the teacher/pupil action plan to improve behaviour. A pastoral plan is a behaviour agreement between pupil and teacher and parents/carers and may include targets for the parents/carers as well as the child. it should identify problem behaviours and focus on one or two at a time for improvement. present ways for pupils to achieve appropriate behaviour. All exclusions from school, whether they are fixed term or permanent, follow the strict guidelines set down by the LA and the Welsh Assembly Government. It is the final act for the school and is never entered into lightly. The Governing Body is immediately informed of an exclusion as is the LAs Vulnerable Children Officer. Following an exclusion a plan is put in place to ensure the successful reintegration of a pupil. The school works closely with the Behaviour Support Team and advice is sought at every stage to prevent future exclusions unless they are unavoidable. . (Guidance on Exclusion from Schools and Pupil Referral Units Reprinted February 2008. Welsh Assembly Government Circular No. 001/2004).